First, you must have at least a master’s degree to even be considered for the chance to apply. Second, the principles at the school pick you to be evaluated based on your previous experience and any academic papers you’ve written. Third, if you get picked to be evaluated further (application level one), you study a compilation of articles on education (it changes every year) and then you take a test on it. Note: only a certain percentage of top scorers on that test move on to application level two. Fourth (on level two), you are placed in a five person group with other applicants. You’re given a few minutes to prepare a presentation on a random education topic (like a situation in the classroom) which you will then give to the others in your group. Observers then grade you on how you handle the topic, how you present the topic, and how you responded to other group members’ presentations. Fifth (also on level two), you write an essay on why you want to be a school teacher and then you have a one-on-one interview with a principal where they ask questions about your essay. Finally, the people who had the best interview, best essay, and best scores from the group discussion are picked for the job. Overall, less than 10% of applicants get hired on which, according to my friend, is more selective of a process than that for doctors and lawyers. Teaching is also considered to be on par with those professions in prestige. If there is any way to attract ambitious top talent, it’s to have a selection process like this, backed by the promise of having one of the most prestigious jobs in the country. The second thing (which is a little less intense) would be class sizes. This article from the New Republic says that Finnish schools cap science classes at 16 students so that they can learn by doing practical experiments every day. As for the US, the average class size is more around 20. You know as well as I do how much of a difference we felt in classes where we knew our teacher personally and had a sufficiently small enough group to promote a sense of informal camaraderie versus large classes where we had the day’s lesson and got out the door, nothing further. This seems like a very slight difference but, according to the Organization for Economic Development’s Better Life Index, the resulting success of students coming out of Finnish schools is noticeably higher over the US. According to the index, Finland scored 529 points in the OECD’s Programme for International Student Assessment, marking them as one of the strongest performers in the world. The US, on the other hand, only scored 494; that is three points under the average and puts us behind several countries like Canada, Poland, and Slovenia. For the 70 billion dollars we spend on the Department of Education’s massive budget, I think we should expect better. Now admittedly it may be hard to try to make a national system out of this, considering that Finland has something like 1.7% of the population the US does. However, that is just slightly more than the population of, say, Kentucky. I would propose that a better way than the current semi-centralized system we have now (administered by the Department of Education’s massive budget) would be a state by state system more along the lines of Finland. Basically, each individual state would take suggestions such as the ones above and incorporate those into their state level education system, instead of having a centralized federal bureaucracy micro-managing by means of funding grants tied to myriad rules. Considering the grades that world organizations have given Finland and the current status of our own reform, it’s a no brainer. 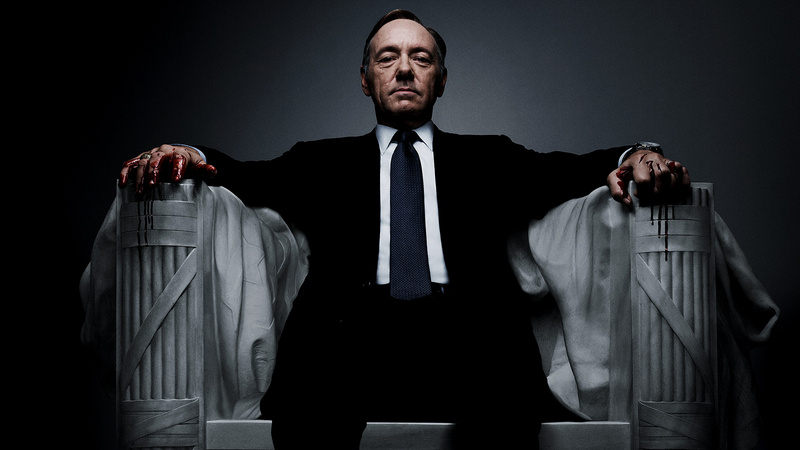 This entry was posted in Opinion and tagged education, finland, house of cards, reform. Bookmark the permalink. I wonder how the salaries of the Finnish teachers compare with ours. I agree that we need to attract the best people to education, so the question becomes: can we do that without first offering them higher salaries? And of course, there’s the fact that we’re already getting a very poor ROI considering that we spend so much per student compared to other countries. Decentralizing, as you suggest, could certainly lead to more creative solutions to our education problems.